7 x de R$ 117,91 3,50 a.m. The radiation from unshielded loudspeaker cables is often stronger than that from ordinary mains cables. SUPRA screened loudspeaker cables radiate less interference to low level circuits, inputs and interconnects. The shielding is also highly effective in rejecting high frequency interference, by minimising aerial pick-up. The minimising of interference fields is recommended in all fixed installations, with computers playing an increasing part in everyday life. Sensitive networks of low level information control all kinds of operations. Meanwhile, multi room installations often require audio, video, data and loudspeaker lines to run through ceilings and walls in very close proximity. The biological effects of electric and magnetic fields should also be considered. The screened Supra Ply 3.4/S combines low inductance and tin plating with the shielding concept, making it Supra's top high-end loudspeaker cable. 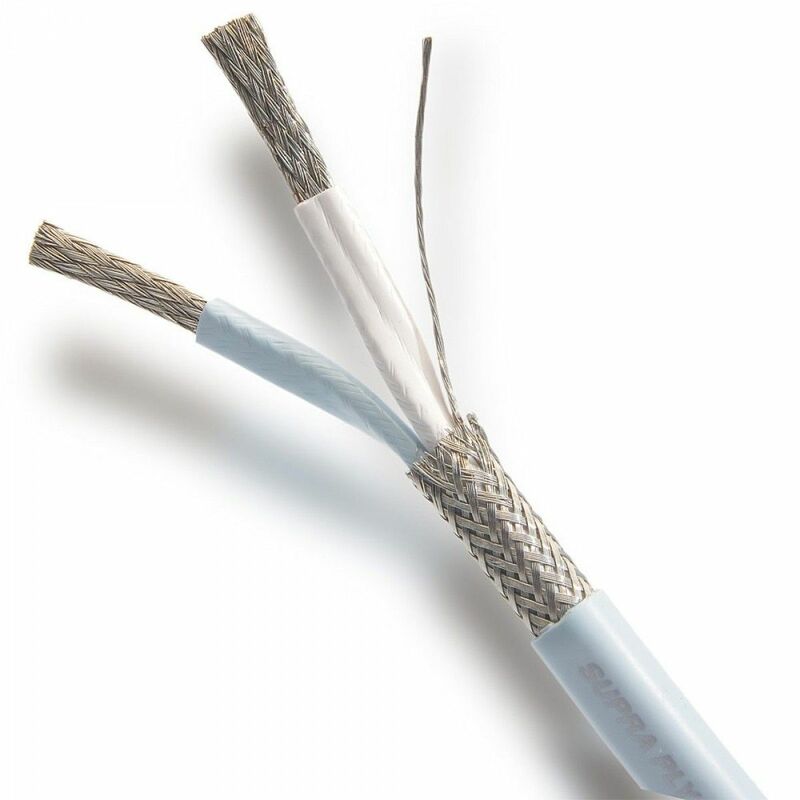 Cables with copper or silver stranded conductors suffer from complex oxidation. The semiconductive ’diodes’ between the strands aren’t seen by steady tests, but look like a high capacitance to music signals. This causes energy storage/release cycles, that regular tests miss, yet which is audible with music. This problem is also describable as the electron flow being ’trapped’ inside strands & twisting away from the direct route. Supra Ply is a largesection, low resistance cable, overcoming skin effect & transient distortion, using pure tin plating. Tin melds to copper with-out any diodic barrier, & also protects the copper from common corrosions - ideal for outdoors & 12 volt. Most audiograde cables’ conductors are damaged by contamination, by plastic out-gassing, from the impure atmosphere, & liquid spills. Some are protected but only by a thin coating that’ll one day crack with use and age. Neatly, oxidation forming on Ply is sonically benign.